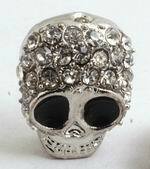 Sorry, we are currently sold out of '3 Large Sky Blue Arabian Tube Beads - 24mm x 12mm'. Please check back later. 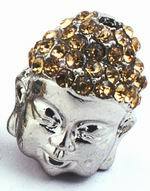 Golden-Head Buddha Shamballa Bead - Heavy! 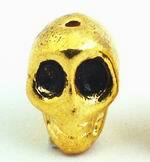 Sorry, we are currently sold out of '2 Heavy Sold-Metal Gold Skull Beads'. Please check back later.